On a road trip to the north of Scotland – and that’s the very north, see Croft 103 – we had a couple of overnight stops. This one was a bit of a gamble, picked out because we’d seen the boathouse reviewed somewhere a few years ago. 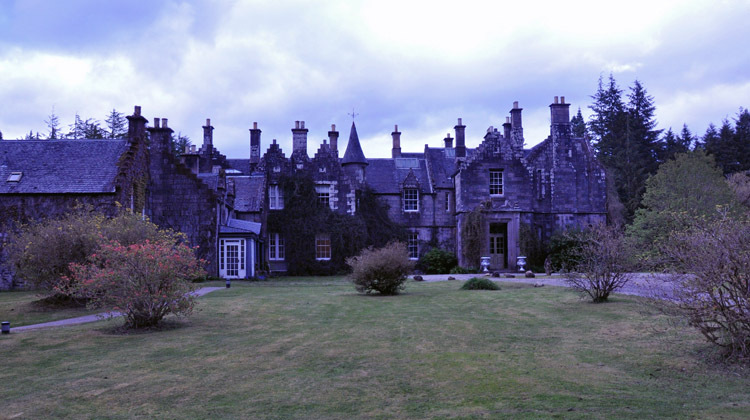 It’s an old Scottish manor house converted, like many, into a country house hotel so beloved of american tourists. The website suggests.. 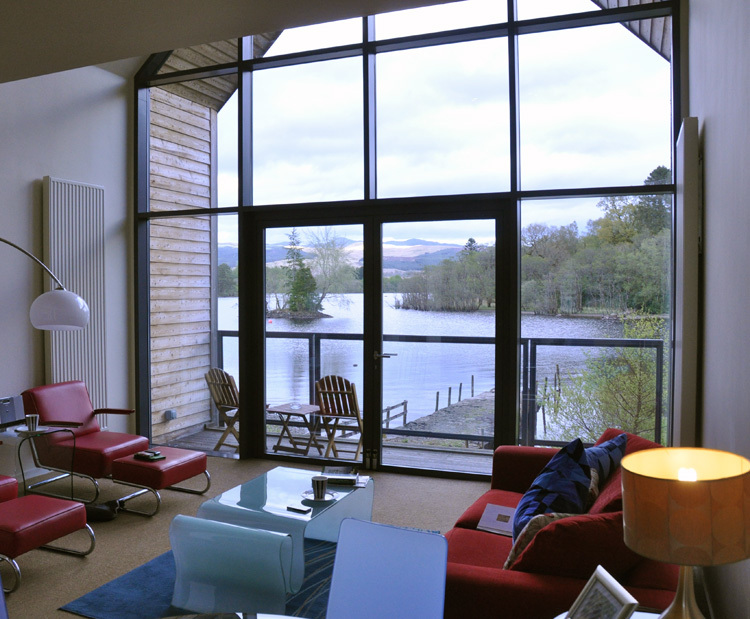 In a quiet place of undisturbed tranquility and almost surreal natural beauty, where the slopes of Ben Cruachan fall into the clear waters of loch Awe, lies a deeply romantic and luxurious old country house. The house certainly has lots of character and the setting is stunning. 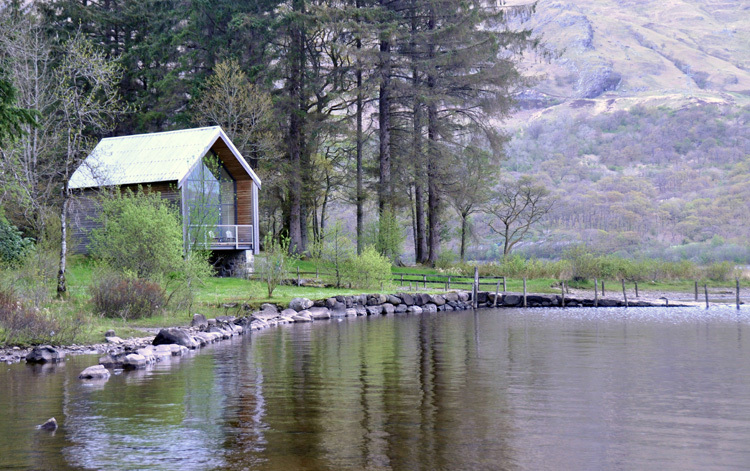 What attracted us though, was being able to book the boathouse. 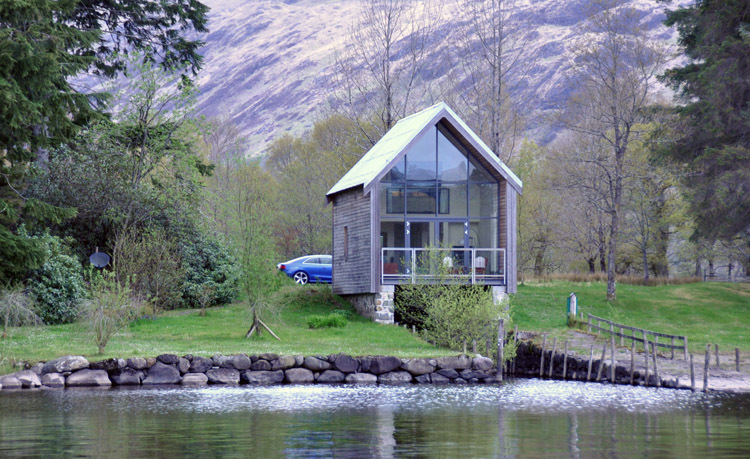 Set apart from the hotel, the boathouse sits at the edge of the loch and is completely private, and is geared up for either self-catering or simply staying and enjoying the hotel [as we did]. 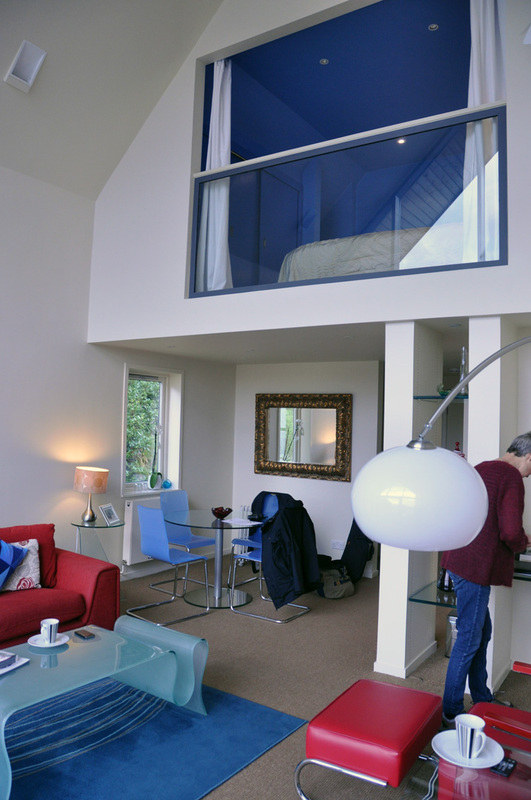 A complete contrast to the gently fading hotel, this has a very contemporary feel, with big windows out onto the loch and a bright blue bedroom perched in the eaves. When we say “completely private” we were wakened by an enthusiastic gardener with a petrol strimmer trimming round the side of the building at 8 o’clock. He had another million hectares to go at but chose us for special treatment. They have boats you can hire to explore the loch, weather and midges permitting. Overall, a good place to stay en route. Dinner excellent, breakfast a little shaky.